Introducing IBM Watson Workspace | Constellation Research Inc.
Today at IBM World of Watson, IBM announced the preview release (i.e. pre-beta) of Watson Workspace. 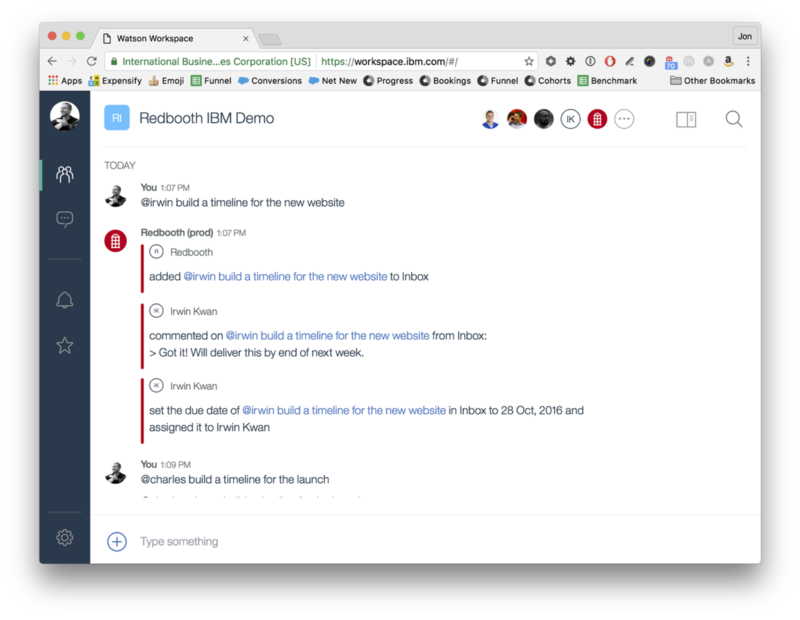 This is an IBM collaboration tool that allows people to create shared spaces where they can post questions, share ideas, collaborate on projects, etc. 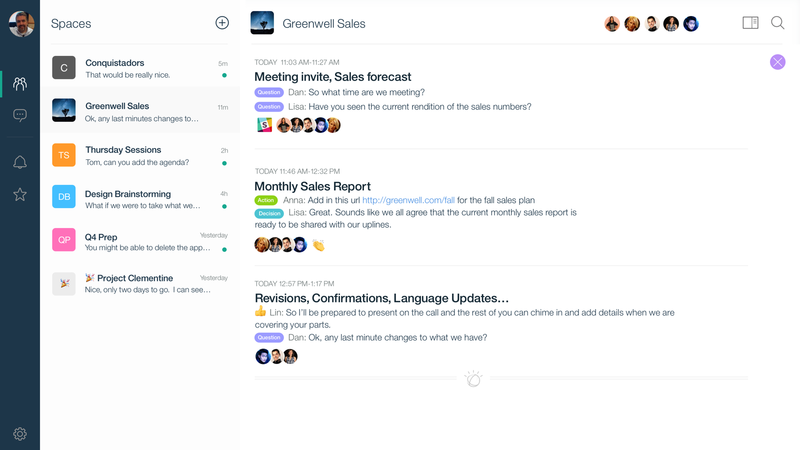 Essentially it’s a group messaging client, but with a twist… it’s being built from the ground up to leverage the cognitive computing capabilities of IBM Watson. What does that mean? Well IBM’s goal is to provide a client that helps eliminate the information overload often associated with today’s collaboration tools. Today employees hold conversations in chat clients, assign tasks in project management tools, manage customer records in CRM systems, share files in another tool, etc. Watson Workspace enables people to integrate multiple tools into a single stream, creating a more seamless experience versus jumping back and forth between multiple tools. But bringing multiple applications into a single stream is not what makes Watson Workspace unique. There are several group messaging clients like Slack, Glip, Cisco Spark and Office 365 Groups that already do this. Watson Workspace’s (current) differentiator is a new feature called Moments. Workspace Moments leverages the IBM Watson cognitive APIs to create a summary of the posts taking place in a Space. It groups together posts making it easier for people to digest the vast amounts of information being shared. Moments even labels the items in the summary as questions, actions or decisions to provide context around why these posts are the ones you should pay attention to. Watson Workspaces is in the early days. It’s not even a beta, it’s a preview. But that’s great. One of the main things I’ve criticized IBM about over the years is how slow they have been to move from slideware to software. 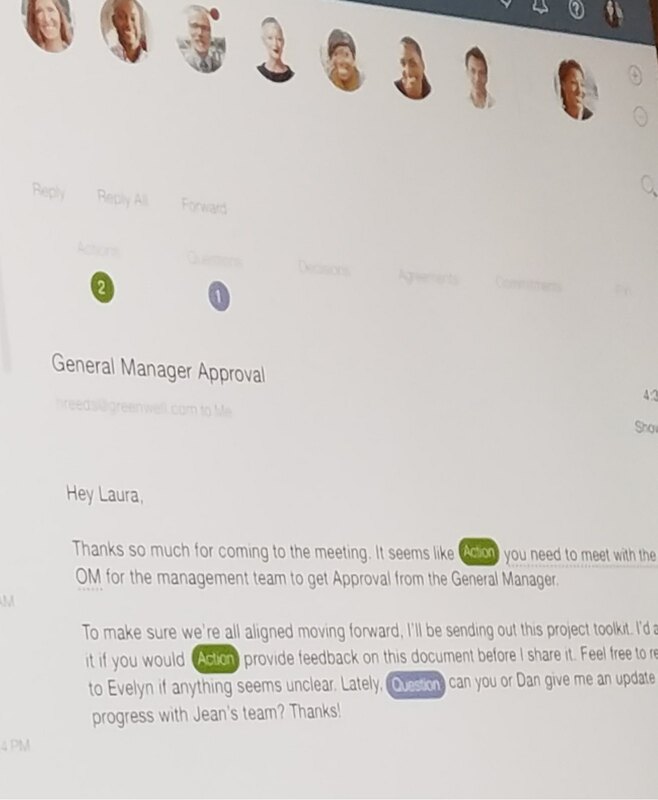 IBM has been talking about adding cognitive capabilities to collaboration tools for years, and they are finally starting to deliver. It’s early, but they are already learning things from Workspace that will help with future versions of IBM Verse and IBM Connections. For example, the image below shows a concept for email that applies similar “action, question, decision” labels inside the body of the message making it easy to quickly scan and get the gist of what you need to know/do. By making IBM Watson Workspace available now, it gives IBM three months to gather feedback and improve before IBM Connect in Feb 2017. Finally, I think it’s important to notice the name: IBM Watson Workspace. Watson is one of the main strengths of IBM these days. However, most people associate Watson as “that computer that played Jeopardy”. Those a bit more in the know think of Watson as “that computer that’s helping doctors fight cancer.” What’s missing is general knowledge of Watson similar to Apple Siri. Now IBM is offering a product with the Watson name that could potentially be used by millions of knowledge workers around the globe. So go sign up for IBM Watson Workspace and feel free to invite me into a space. The mobile clients for iOS and Android are availble, but are currently lacking the Moments feature.